"The massage I received was excellent. I do not usually get massages so I was extremely unsure about what to ask for. The masseuse was extremely patient, explaining the massages she provides. When Tarica performed the massage it was relaxing. I am a teacher and a single parent so i have a lot of stress from working long hours. The massage allowed me to release all the pint up stress in my body. It was a professional establishment that does excellent work.The massage I received was excellent. I do not usually get massages so I was extremely unsure about what to ask for. The masseuse was extremely patient, explaining the massages she provides. When Tarica performed the massage it was relaxing. I am a teacher and a single parent so i have a lot of stress from working long hours. The massage allowed me to release all the pint up stress in my body. It was a professional establishment that does excellent work." 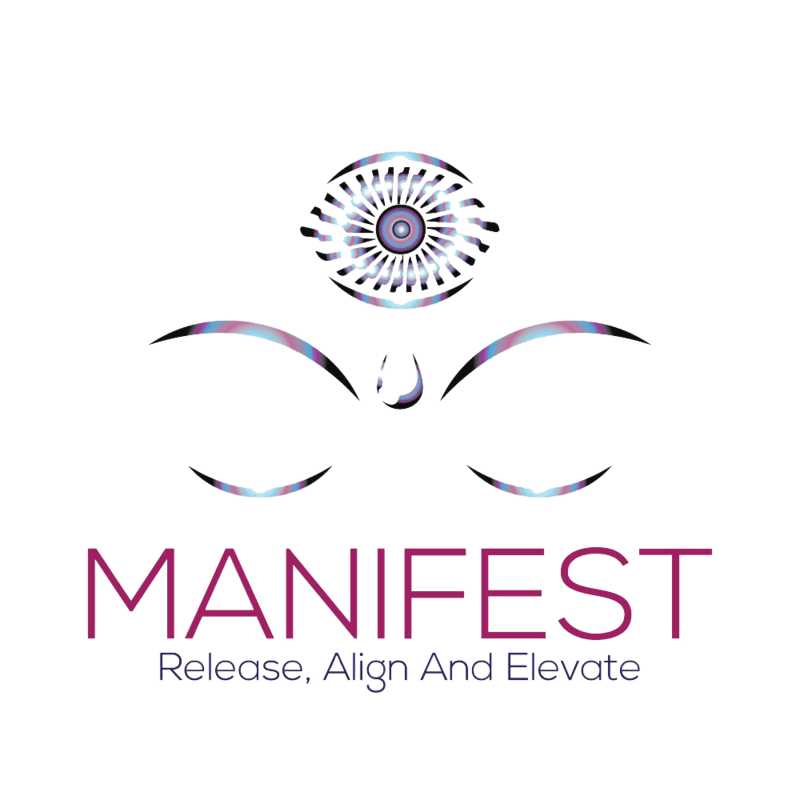 " I had the best massage of my life at Manifest! I have already recommended this company to my friends and family. Best Massage Ever! " "When I walked in the place it was amazing.she than asked what kinda massage I wanted, she than wants to know if you're having any special needs or problem .From that point she was in control an believe me she is soooo awesome and take care of your Body .Its the best Massage I ever had . Get it while it's 🔥"
"I had the most amazing experience here! There was soft suddle music playing, candles lit, and beautiful smells throughout the station. The massage table was nice and warm and the deep tissue massage was out of this world! I would most definitely recommend anyone who is in need of some good relaxation to come here." "My experience with Tarica was excellent! She is very attentive and customizes her sessions according to your needs. I was asked a series of questions regarding my state of well being before the session even started to figure out to what degree I needed healing. Regardless of it being in the lower level of a town home, the environment was very professional, inviting, and tranquil. I felt at home and Tarica did all that was necessary to give me a great experience.There was a bottle of water and chocolate waiting for me when I walked in. As my soothing massage took place, incense burned and melodic music played.If you're looking for a knowledgeable, and very skilled massage therapist, look no further than Tarica Danielle. " "The massages are always amazing. She has the incredible ability to know how much pressure and the right position to place your body in order to work the hardest of kinks out, while also being gentle enough to induce a deep sense of relaxation. " "My first professional massage!! I didn't know what to expect because it was my first time, however I have received physical therapy before and was unable to relax enough to let the therapist adjust and readjustment my body parts (arms, legs, head) as needed without trying to assist. I've always had trouble letting go and relaxing. But I was so relaxed and comfortable with Tarica that I was able to let go and let her do whatever was needed without feeling the need to assist. She was gentle in the spots she needed to be and gave more attention to the spots that needed it without a lot of prompting from me. Her intuitive abilities seem to be on point in that respect. When I left my body felt light, relaxed and ready to take on the rest of my week. It was easily one of the best experiences of my life and I look forward to my next massage from Ms. Tarica Danielle!! Thanks Peace, love and light." "Excellent and knowledgeable therapist. Pays attention to the body and will recommend additional treatments to correct troubled areas. Tarica is one of the best massage therapist I have experienced!" I have gone to several massage therapist and Tarica is Thorough and wonderful. She really takes the whole body approach with her treatment plan so that everything she does and have you do lasts beyond your session, She also makes sure that you understand how different things can impact your body. I cant recommend highly enough, Thank you Tarica! "I am not exaggerating when I say that my massage was by far the best I've ever had in quite a long time. Tarica was extremely intuitive, caring, and knowledgeable....she's everything. She sensed things for me that I didn't even know there. she touch muscles that I didn't even know hurt. Under her hands my muscles relaxed and released all the tension they held. She made the room comfortable which allowed my mind to let go. Needless to say I will be back again for she is the real deal. I'm not sure what divine hand caused us to connect but I am grateful and appreciative that we did. FIVE STARS!" Amazing massage !! Mandy and Danielle ( I think that's her name) were amazing during the couples massage I scheduled for The BF bday. Mandy was my masseuse and boy she took out all of the knots! I had been developing from working out constantly especially in my lower shoulder area. Even though one of the locations is in the busiest part of Adams Morgan. I felt like I was whisked away into sound proofed room with nothing but ultimate quietness no cars beeping, no police sirens, or buses pulling off. At one point I was on the verge of falling asleep such a relaxing atmosphere. I will be definitely be making a another reservation for another massage. Love this place. I've had several massages here and have never had a bad experience - the therapists consistently ascertain your expectations for the massage beforehand and meet or exceed those expectations every time. I love Danielle but have had great massages with Paolo and Olivier as well. The spa is beautiful - the decor is so warm and inviting, definitely unique amongst other spas in the area. The tea and Hershey kisses post-massage are a great touch. Truly though, the massage itself and the personal experience you get are one of a kind and are the reasons I keep coming back. Have gotten a massage here twice and will definitely be back! Very professional & relaxing, interesting ambience. Danielle is the best! This was one of the best massage experiences I've had in years. I accidentally showed up to the Georgetown location instead of Adams Morgan, where I had actually made the appointment. The staff at that location were wonderful. Antonio immediately called me an Uber (despite my protests - I could pay for it!) and they sent me up to Adams Morgan. The massage itself was utterly relaxing and, writing this an hour later, I can say that I feel 110% better than I did when I arrived. My appointment was with Danielle, who applied firm/harder pressure, depending on where she detected tension. She checked in every twenty minutes or so to make sure I everything was okay. The massage table was comfortable and heated (a blessing) and Danielle used a mixture of good-smelling oils (cedar and lavender, maybe?). At the end of the massage, the staff gave me some water and a couple of Hershey's kisses. It was a nice touch. This is my go-to place for a good massage. I've never had a bad experience here. Danielle is my go-to masseuse. I'll definitely be back! We went for a 1.5 hour couple massage on Saturday for my husband's birthday. Danielle and Max are taking care of us. They are super caring and professional. They will ask how much pressure you like, and won't let you feel uncomfortable. We want more focus on shoulder and back, and they did a really good job on focusing those areas. The whole process went very relaxed and smooth. All the details like heat of the massage bed or the light are very suitable for fully enjoying massage. Also we got $10 off for the first time visit. The price of this place is also very reasonable. Will definitely come again in the future. I have been twice at unwind, and I just have good things to say about it !I had my first massage with Danielle and it was AMAZING, she is really good, my second time was with Max and I was one more time satisfied, Max is also very good ! They both knew what they were doing!They have different styles of massage but they're equally good !! The place is beautiful and calm, staff is very helpful, I call in the very last minute both times and they were nice to fit me in!I also got there a little late and it was no problem, they provide the full session!! If it's your first time you get $10 off! And they also have discounts for the morning hours!! The owner is a sweetheart, and the front desk very nice ! Costumer service is really good there ! I went in for a Swedish massage with Danielle, and I cannot complement her technique enough! She spent time discussing my injuries and concerns about the massage, and even used hypo-allergenic lotion after I explained my sensitivity to smell due to terrible allergies. As a massage novice, I was a bit tense, but after a few moments I began to relax thanks to Danielle's wonderful technique and soothing hands. It is unfortunate that the street noise can be heard from the room, but it's a city, so you have to expect that. The room was nice and dark and the music was relaxing. I scheduled another massage with her as soon as I walked out of the massage room! Can't wait!!!!! Two words "MAGIC HANDS"!! I experienced the most heavenly relaxing yet therapeutic massage from my massage therapist Danielle here at Unwind. She's was so intuitive I didnt have to tell her anything, she found every single trouble spot on my body I kidd you not! She also used essential oils in the session which was a plus plus plus because I lovvee Lavender!! I highly recommend Unwind Wellness Center. Thank you so much Danielle!! Managed to fit me in for a walk in on a Sunday! Fantastic 60 min session with Danielle who was so good about targeting my tension and muscle soreness. $10 off for new clients! I recently had a lipo procedure and was in desperate need of a lymphatic drainage massage. I came across Manifest Station on a google search and was impressed with the website as well as the price for this particular massage. All therapist do not provide this specialty and if they do, the cost seems to be $100 and up. The location is in a residential area however the space looked great and very professional. I was instantly relaxed. Tarica was very caring and attentive to my needs and kept checking to make sure I was comfortable. I walked in with extreme soreness and swelling and walked out feeling the best I've felt since the surgery. I've even made an appointment for my husband and plan to return for more massages during my recovery. I will recommend her services to everyone. Thanks Tarica! OMG this is the best place EVER!!! She is definitely a HEALER. BEST Massage experience ever. The space is comfortable and relaxing, even being in a residential area. I have come here for my own personal massage, and i brought a friend for her BIRTHDAY massage and chill! I got my first massage here and the LMT did a great job with making me feel comfortable and relaxed. I highly recommend! Tarica has healing hands!! She was very knowledgeable and explained a lot of self care tips to do on my own. The space is peaceful and clean. Her stretching techniques are awesome too! Just what I needed. I'll definitely be back & referring all my friends. I am licensed massaged therapist in Texas. I heard great things about this Queen and I had to try her skills. Tarica was amazing! As soon as you walk in you can feel a calm and peaceful energy in her space. She works intuitively, focusing on areas with the most tension congestion. With very little direction she knew exactly what I needed. She also included stretching. I left feeling completely relaxed and restored. Most definitely will back when i visit the area again. I am very pleased with the service I received today from PA Day Spa. This was my first time visiting this spa; Tarica and Ms. Paris did not disappoint. Not only did the receptionist Dana ensure that details related to my previous cervical spine surgery were noted in my chart, Tarica frequently checked with me throughout the massage to ensure I was not experiencing any discomfort. I appreciate that this spa is not only focused on relaxation but they are highly focused on healing as well. My facial was also amazing, I appreciated the extra time taken during the extraction process. I have already booked my next monthly appointment. I have found my new spa and wellness partners in PA Day Spa. After being a vida member for 3 years I'm disappointed that I've just come here for the first time. Yesterday we decided to treat ourselves and get a massage and a pedi scrub. Wow!!!! The pedi scrub was amazing and really something anyone who is on their feet a lot should do. I'm a distance runner and taking care of your feet is so important. Brookelyn did such an amazing job and I was really impressed. My boyfriend got a massage from Tarica and said it was the best they've ever had. Unfortunately both of us are moving and won't be in the area much longer but we hope to be back one more time. We had such a great time we would probably request those two again, they were wonderful. Also the area where you get the treatment is really nice. You're in the gym one minute then in the next a quiet and totally relaxing environment.